Modineer has invested heavily in the latest laser cutting technologies. 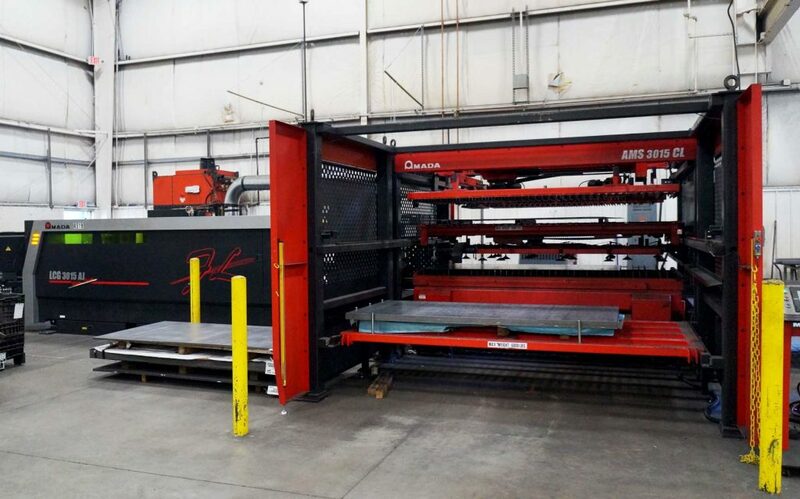 We have delivered and installed multiple industry-leading fiber optics laser cutting machines, capable of generating over 6K Watts of power. This new technology, along with our CO2 machines, allows Modineer to offer a full suite of capabilities to our cost base. Modineer has 6-axis lasering capabilities, ensuring that there is no component or shape we cannot cut. To improve efficiencies, we have developed multiple material loading systems. Combining this with our offline laser programming allows our manufacturing system to continuously run our laser with little to no downtime. Multiple components, multiple material types, and multiple sheet sizes are all loaded at once to allow us to provide continuous operations. This, coupled with our ability to cut edge-to-edge on our components, maximizes not only the uptime of our machines but the material utilization per sheet. This minimizes the cost of operation and material cost for our customers. In many cases, Modineer combines laser operations with other manufacturing operations, such as press braking, turret punching, welding (MIG and TIG), resistance welding, stamping, and others. In many ways, our industry-leading laser capabilities are just the initial operation along the way to meeting our customer complex requirements. We have bed sizes up to 72” x 144” and can cut up to 1” steel, ½’ aluminum, and ½” stainless steel.